Guess what?? It's giveaway time! 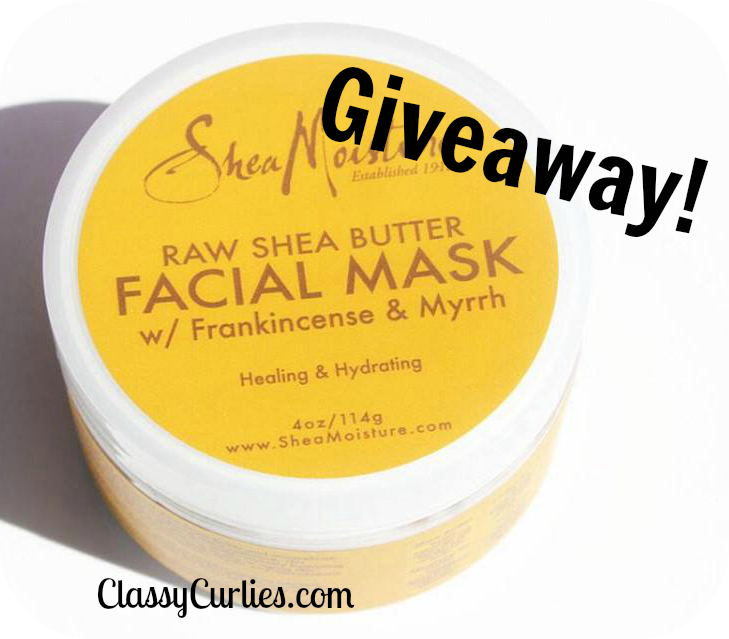 This week I have four jars of Shea Moisture's Raw Shea Butter Facial Mask for you all. To read my review of this product, click here. Since spring is officially here I thought that a facial mask would be appropriate to get rid of any dry winter skin. The giveaway will be open today(4/18) until the following Friday(4/25) at 11:59 p.m. (eastern time). You will enter through the form below. Leaving one topic or question you'd like to see answered on this blog in the comments section below.Your comment will give you 10 extra points toward winning the prize, but you must choose this option in the form below. All other entries are 5 points. Winners will be notified be email a few days after the giveaway has come to an end. Good luck!